There are many ways that your car can tell you that it needs auto repair. The many computers that are used by you car can detect just about any small or large problems. However, they are not perfect. This means it is up to you to be vigilant about any potential issues. This includes paying attention to the signs of trouble, which can come in many forms. If you ever come across any of the following issues don't hesitate to get in touch with your local auto repair shop to schedule proper diagnostics. There are many times your car may produce weird noises if it is experiencing trouble operating. The most common noises are grinding caused by worn brakes, screeching or grinding related to low transmission fluid levels, a knocking noise coming from under the hood or increased engine volume as a result of an exhaust leak. Foul smells are also a clear indicator of trouble onboard. Some of the more common smells include a dirty laundry smell caused by mold in the AC or heater vents, a sweet, syrupy smell that could indicate a coolant leak or a burning smell that generally relates to a worn or out of adjustment clutch. If you experience weird shaking sensations as you drive you'll want to visit the repair shop as soon as possible. Some of the most common vibrations include a brake pedal shake caused by warped rotors, a gas pedal vibration related to an exhaust leak or the steering wheel shaking back and forth due to an alignment issue. Your car uses a variety of fluids to operate its numerous systems. If you ever find anything dripping from your car don't hesitate to contact a repair shop. 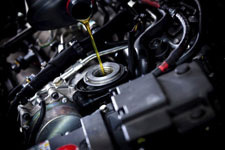 Your car could leak oil, coolant, power steering fluid, transmission fluid, gasoline or differential fluid. A clear sign of trouble is if a light on your dashboard comes on. Dashboard indicators include the check engine light, ABS (brake) light, temperature light, battery light, oil pressure light and many others. If you ever suspect car trouble head to Freeport Automotive for professional auto repair in Sacramento for all makes and models. Our full service auto repair shop is staffed by ASE certified technicians who can solve any issue your car may have. Give us a call at (916) 389-2405 to make an appointment for expert auto repair in Sacramento today!